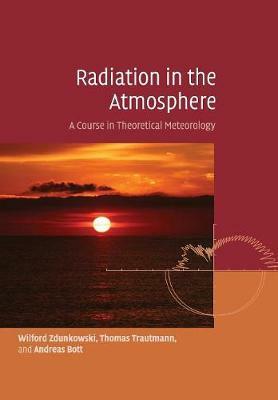 This book presents the theory and applications of radiative transfer in the atmosphere. It is written for graduate students and researchers in the fields of meteorology and related sciences. The book begins with important basic definitions of the radiative transfer theory. It presents the hydrodynamic derivation of the radiative transfer equation and the principles of variance. The authors examine in detail various quasi-exact solutions of the radiative transfer equation and give a thorough treatment of the radiative perturbation theory. A rigorous treatment of Mie scattering is given, including Rayleigh scattering as a special case, and the important efficiency factors for extinction, scattering and absorption are derived. The fundamentals of remote sensing applications of radiative transfer are presented. Problems of varying degrees of difficulty are included at the end of each chapter, allowing readers to further their understanding of the materials covered in the book.